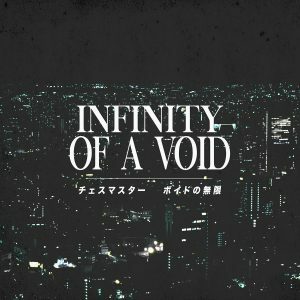 New Intelligence is the penultimate album of the second run of releases from TKX Vault – an imprint of the Dream Catalogue label that primarily focused on experimental and noise-influenced releases – which originally released fifty albums from 2014 to 2016 and then released a second run of ten from 2017 to 2018. New Intelligence is currently the only album from Omega Sapien, the next in a long line of pseudonymous one-off artists whose works only appeared on TKX Vault. Ambient/dreampunk artist Sangam collaborated on the final track, which is notable as being one of the few credited features in the entire TKX Vault catalogue. Although only six tracks long, this EP is actually one of the longest releases in of the final ten TKX Vault albums, which primarily focused on short single/EP format. It’s prototypical dark ambient/cyberpunk music, and little more than that. The six tracks have a similar, simple progressions of synthesizer music. The sound is somewhat compressed, possibly appealing to fans of progressive electronica. As with other albums in the Vault, the songs explore themes of man’s relationship with technology and industrial development that effects a new human paradigm. Unfortunately, that means there’s not much here that wasn’t explored previously in the Vault through releases from The Last Man on Earth, Keito Shimugchi, and 暗い自然 – to say nothing of Dream Catalogue. Elemental 95 releases “guided light” by dropbassline.